Posted on January 7, 2016 by No Map Required Posted in Places, Spain	. Our first day in Barcelona started with a fascinating conversation with a store owner named Tom. He said, “I used to travel the world, but now the world travels here in Barcelona.” Standing in his store, VarioPinte, I wondered what that meant, but soon I would come to understand for myself. 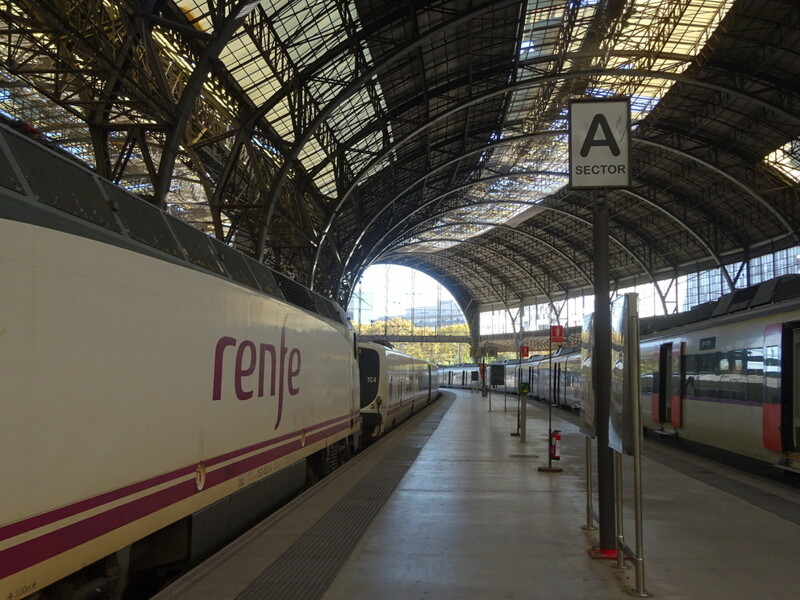 In a city with about one point six million residents, eight million tourists passing through each year truly feels like the world does arrive at the door-step of Barcelona. As we understand it, Barcelona underwent a transformation around the time it hosted the Olympics (remember Greg Louganis…that one!). Since then tourism has skyrocketed. 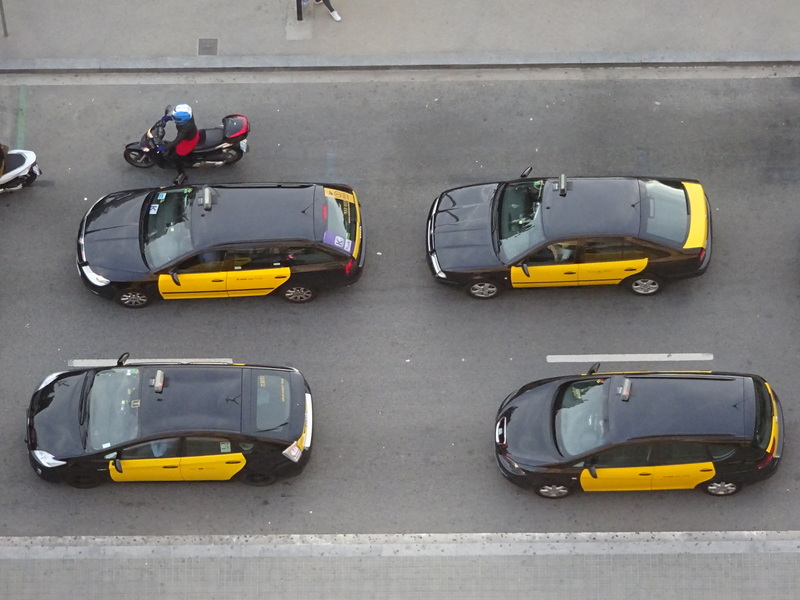 Barcelona is nothing if not cosmopolitan, but not in a NYC kind of way. It’s definitely an old Europe kind of way. We arrived in Barcelona before Debby and Abby, then stayed a week longer, then left to Switzerland and came back yet again. 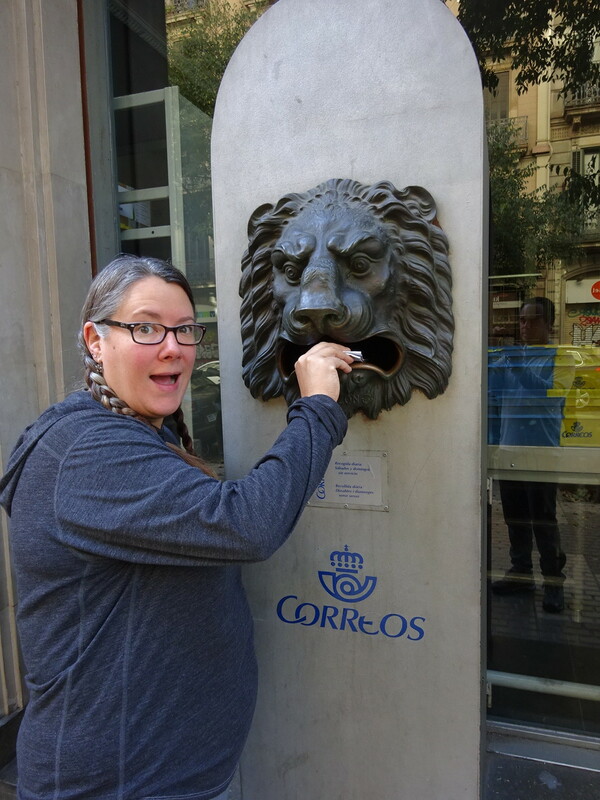 While we aren’t generally big on big cities, when it comes to Barcelona: We Loved It! We arrived by train where we were met by this incredible wrought iron work. Look at this station. So old school, but totally fabulous. 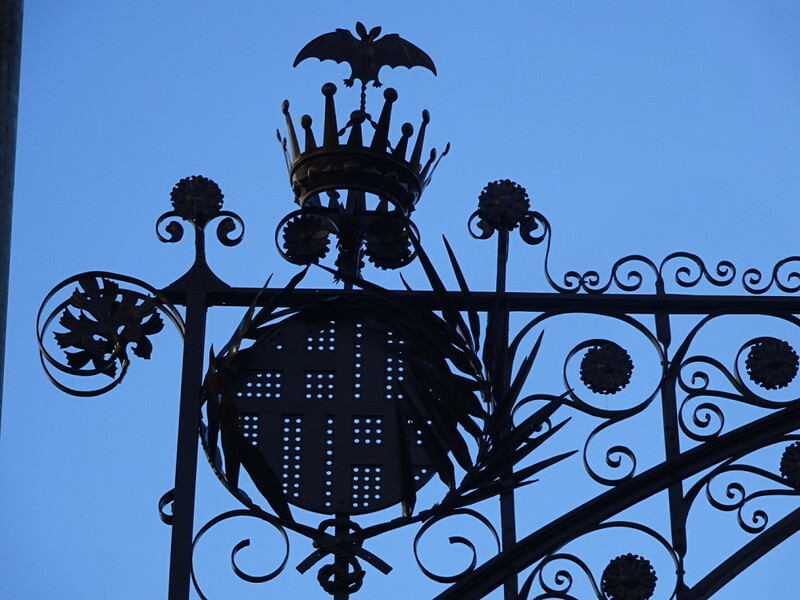 The iron work is wonderful. There’s more where this came from. LOTS more! 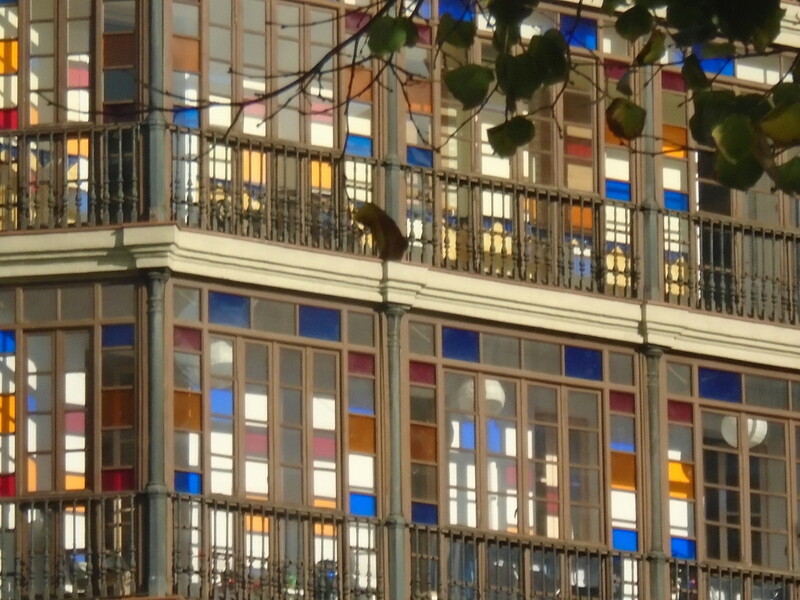 Our number one impression of Barcelona was a sense of incredible style! The elegant, unique architecture just goes on and on and on. And the clothes people wear! Folks enjoy their local designers and seem totally unafraid of wearing statement pieces. Delightfully more interesting than seeing everyone in brand names and looking pretty much exactly alike as is so common in the US. Even the kids were about 100 times more fashionable than we are on a good day. Maybe I have a bit of a complex after wearing travel clothes for over a year now, but even on our best day, we hardly match up. It was quite fun for us to just people watch. Surely we’ll have picked up on that for when we head home, right? Umm. The architecture is exactly what I think when I think “Europe” – an incredible mix of elegant and old with clean and modern. 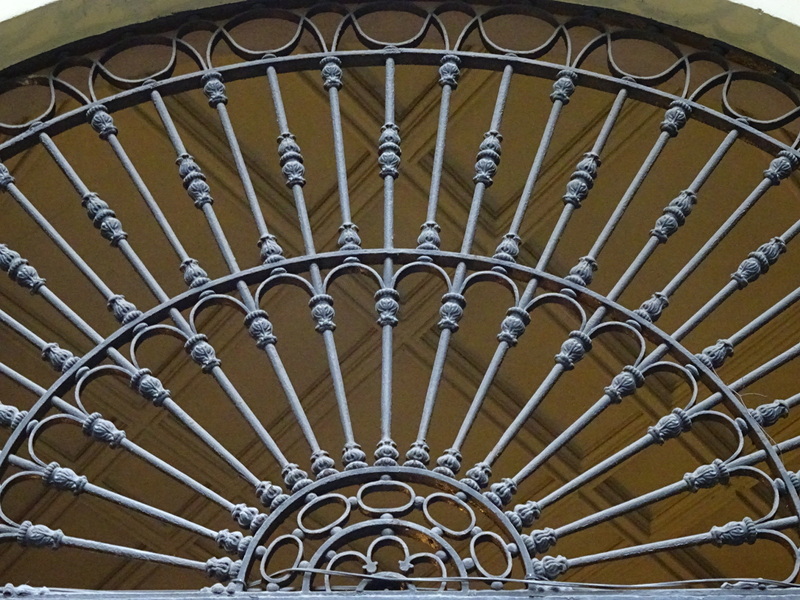 The wrought iron elements on fancy old buildings AND contemporary modern ones, balcony upon balcony – many of them made with incredible detail – were spectacular! We were constantly stopping in the middle of the sidewalk looking straight up and pointing at some cool feature. I’m sure we annoyed many-a-local with our gawking. Sorry Barca! We saw awe-inspiring wrought iron designs every single day. This is a light pole. A light pole for goodness sakes! 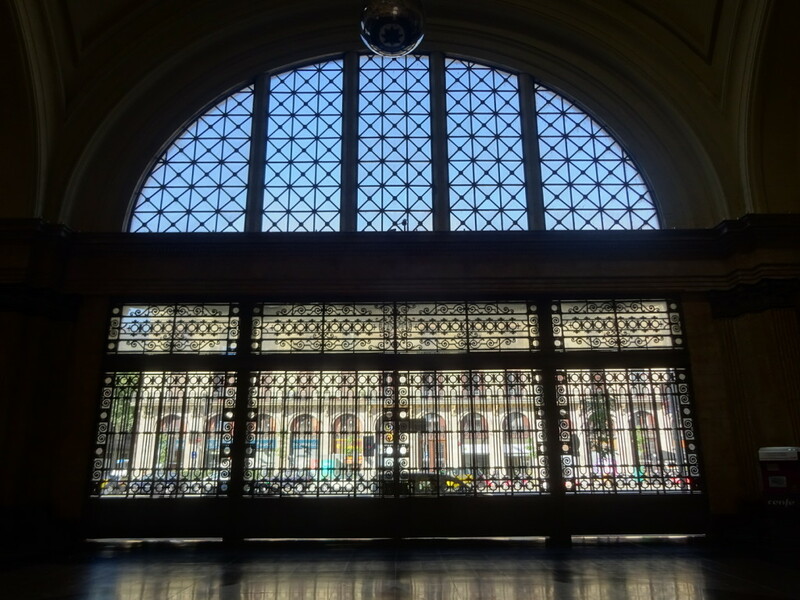 Even the windows are stylin’. Seriously. How beautiful is that? 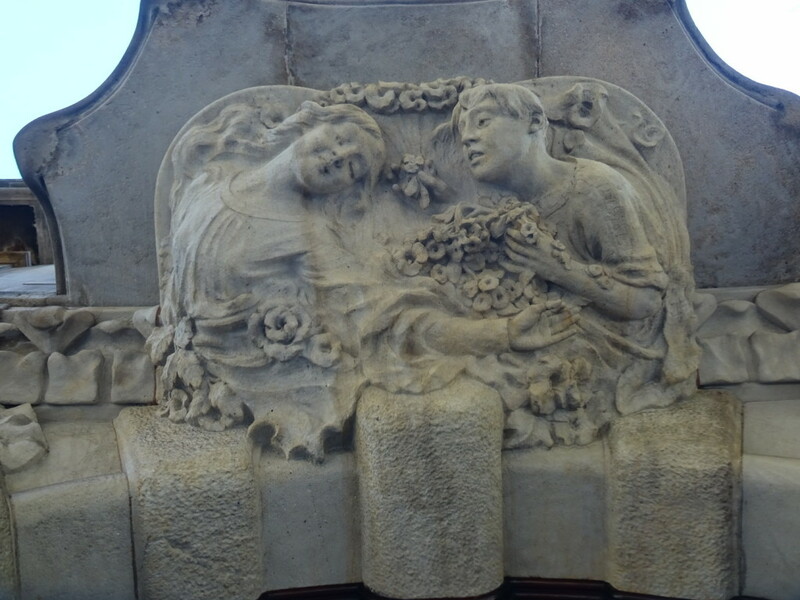 Always look up – there’s something to see over most every doorway. …and to the sides of the doors, too. 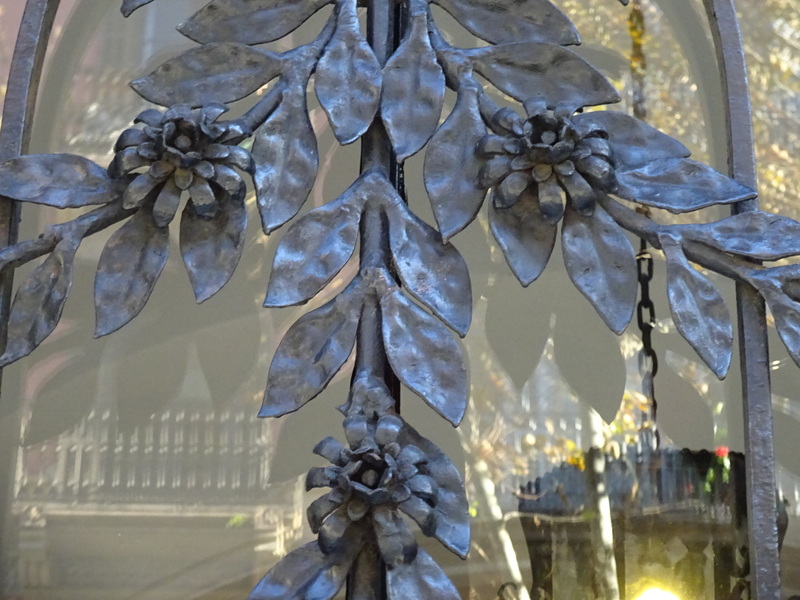 Elegant leaves and flowers on a shop window. That’s some iron manipulation, eh? 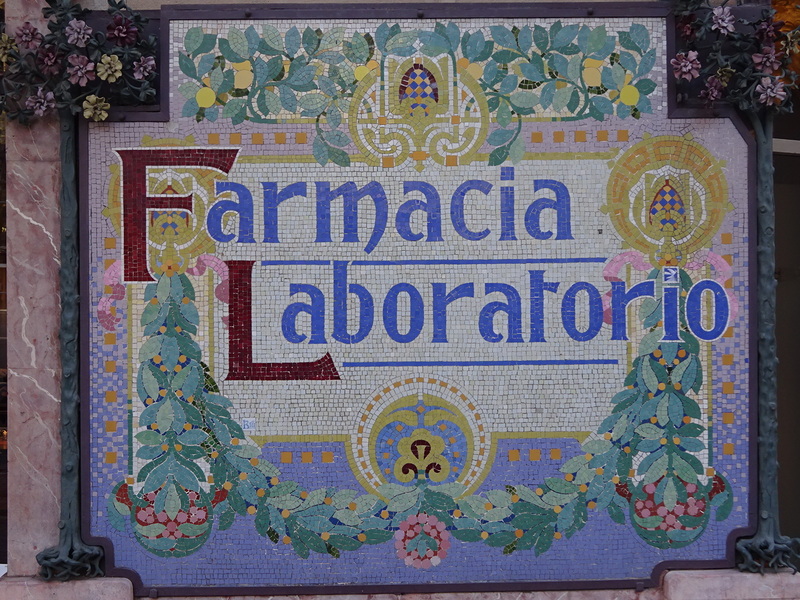 Below is the pharmacy. The pharmacy! Take note CVS and Bartells. 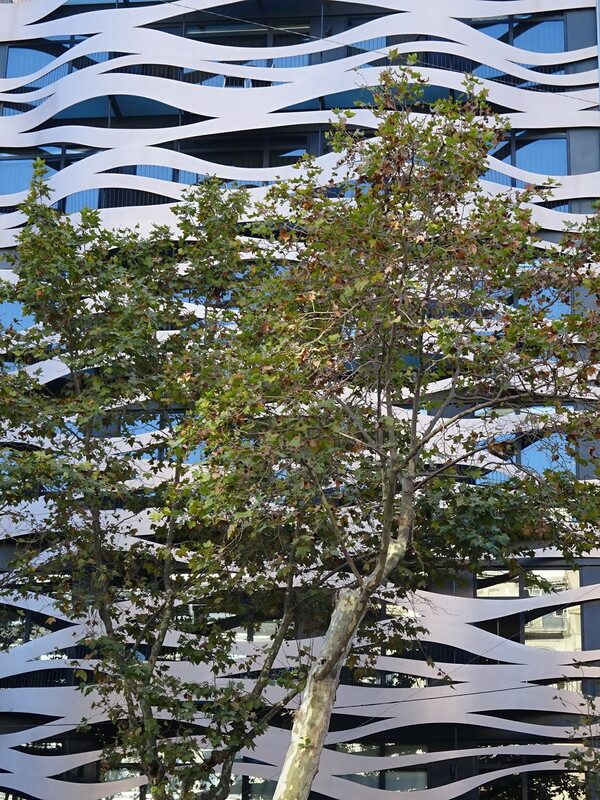 No wonder fashion is so inspired in this city – beautiful artistic things are everywhere. The sign is a tile mosaic. You know, like on every pharmacy. Hah! Because apparently the sign just wasn’t enough, here’s the colored iron-work surrounding the sign. Even the mail boxes are super cool. An example of modern architecture. 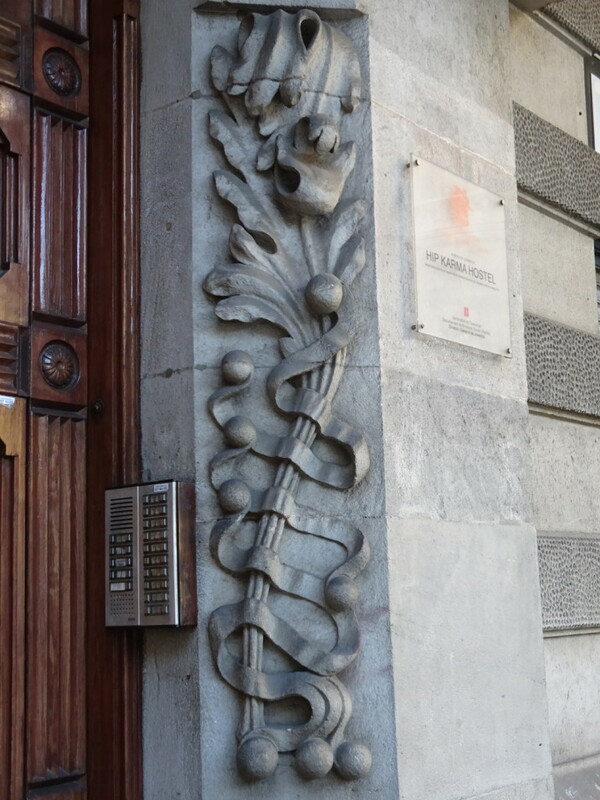 This happens to be on the same block as one of the Gaudi houses (blog a-coming). 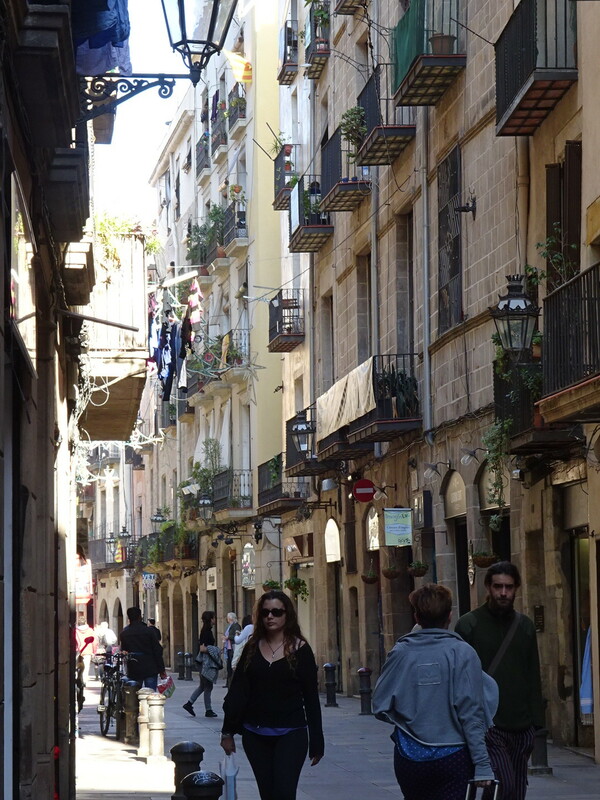 The streets in Barcelona’s old town are narrow and require special street cleaning machines that can fit the narrow lanes. Laundry hangs out drying several stories up. Secret paths lead to open squares filled with outdoor restaurants. In the “newer” parts of town the intersections of the streets are huge, allowing the sun to pour in and the air to circulate. This was done in the 1800’s by cutting the corners of all the intersections. Why didn’t we ever do that in the States? Yeah, I know, ’cause it would mean a loss of real estate, but really – it’s brilliant! 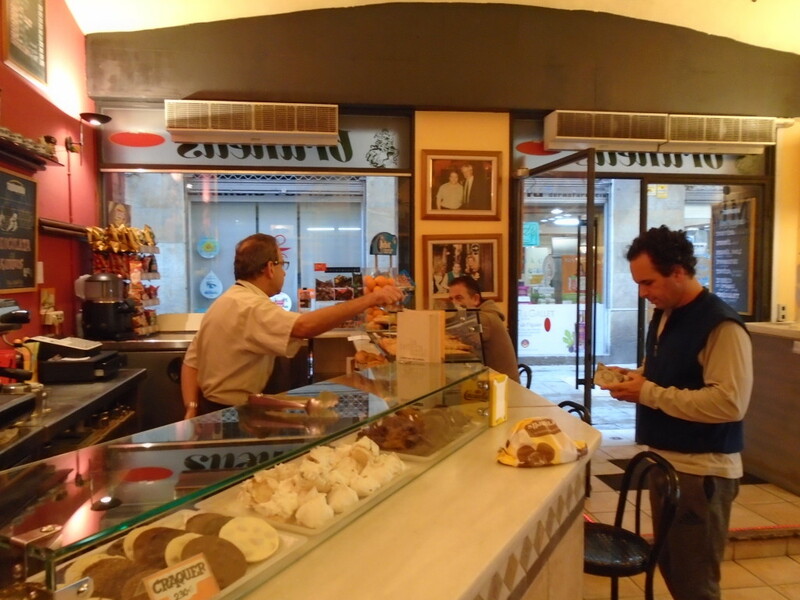 Barcelona is our kind of town; nothing opens until at least 10am, so sometime around noon we’d roll out of the house to go find some capuccino, chocolate croissants and other doughy goodness (usually magdelenas for Aaron – sort of a vanilla muffin thing). Breakfast is served. Magdelenas are in the middle row on the left. Aaron and I did a Food Lover Tour of tapas our first day and, like the name implied, we loved it. There were only three of us and our guide. We went to three restaurants and tried about 20 dishes. Here’s the thing, they were 20 dishes we would never have ordered on our own, so we ended up trying some things! We had octopus, anchovies, serrano ham, cold cod salad – which was really good and you would NEVER think that by the description, various cooked sausages, and we fell in love with “pan de tomate” – which is bread rubbed with tomato, kind of like a Spanish version of bruschetta where the tomato is just rubbed on, not chopped pieces like bruschetta. 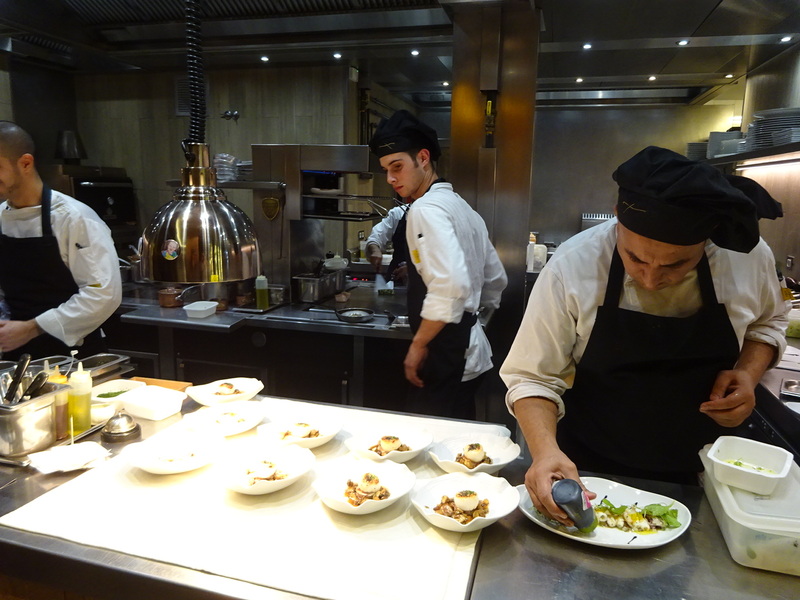 Our food tour included a look into the kitchen – some serious Top Chef kind of action going on in there. I got to try vermouth, which is not what you’re thinking it is. Our guide said that the vermouth used to make martinis is called “industrial vermouth” while the heaven we drank was called “house vermouth”. It’s made by mixing wine, sugar and spices and aging them in a barrel. It turns out like spicy, fortified, mulled wine – but cold and served over ice and fruit. That was seriously special. It tasted like Christmas. Without the tour we would have had no idea! 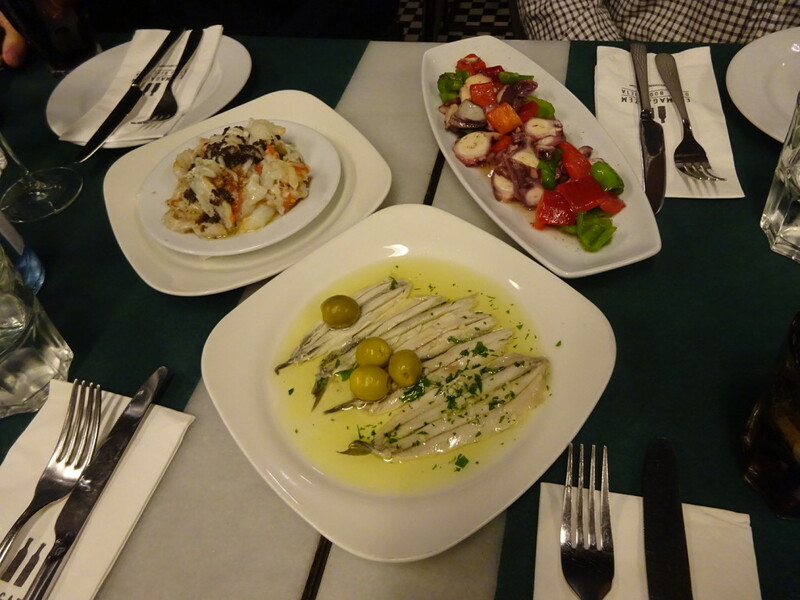 Cold cod salad, octopus with veggies and a sardine-like fish dish. So many unique flavors, and all so beautiful! 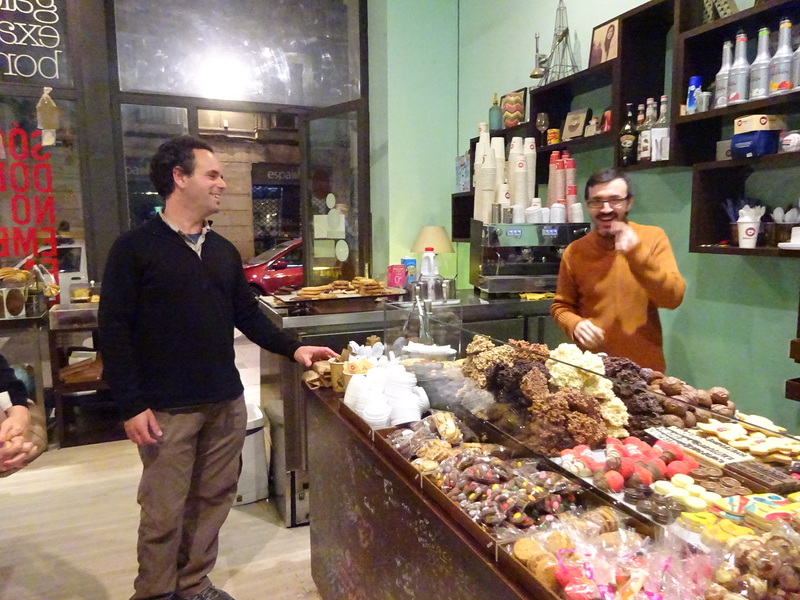 In Barcelona we would try untold numbers of bakeries and cafes, finding some of the best threesies of our trip. How to pick? How to pick?! The cookie shop two doors down from our apartment. Our favorite baker – Angelo. He offered to let us come help and I wish we would have done it. Ohhh, the double-layer donuts of Chok: Not. To. Be. Missed. 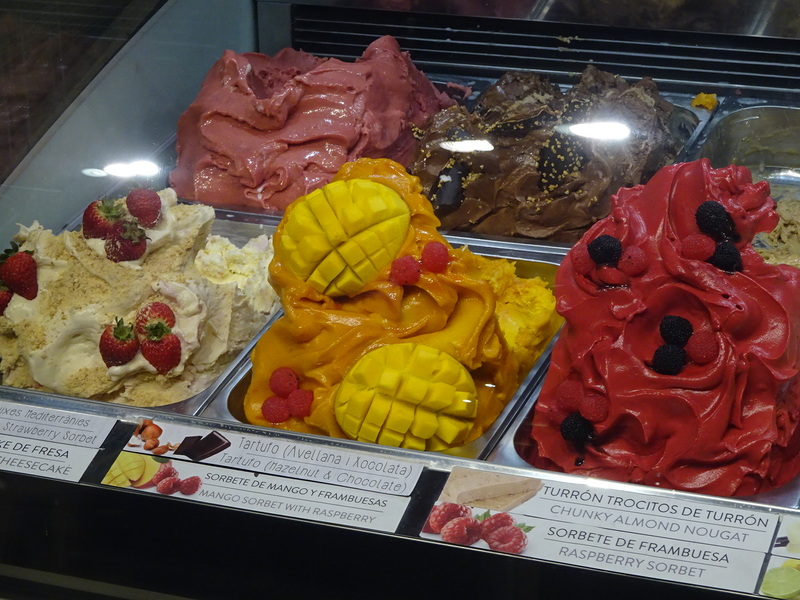 So delightful when your night ends with gelato. Besides a lot of eating we also explored more architectural wonders than in any other city on our trip! Numerous Gaudi houses, the gorgeous Palau de la Musica, on and on. Those, though, we’re saving for their own posts. Trust me, they’re going to be colorifically magical! Just one teaser photo, then you’ll have to wait for the posts. 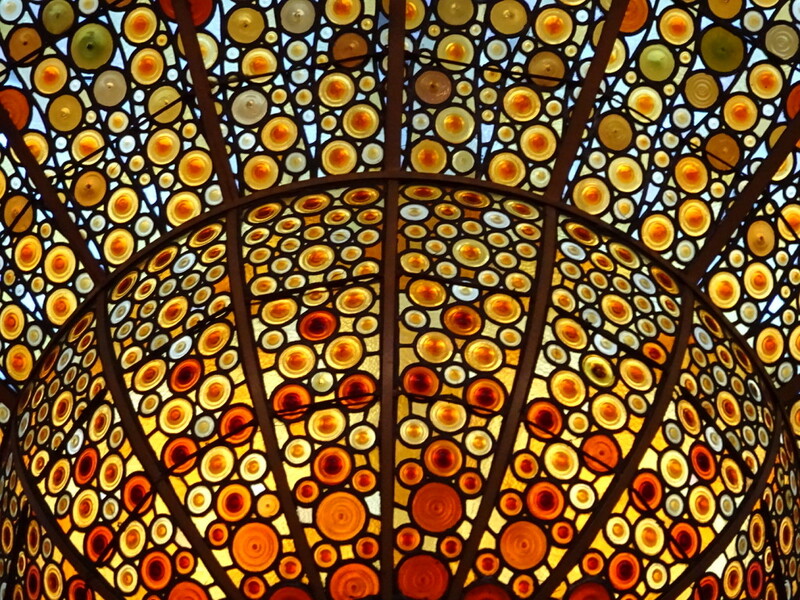 Just to whet your appetite…a close-up of the drop stained glass ceiling in the Palau de la Musica. There was a free exhibition of The Masters (Van Gogh, Renoir, etc) put on by the Fundacion Mapfre which we enjoyed immensely. I think free is good – it gets families and kids out there seeing something besides what’s on TV. Plus we saw school groups pour into the art museums with lines of little kids every day. Can’t start ’em young enough, I say. It isn’t always free, but if you ever get a chance to see the World Press Photo Awards exhibition – like we did at the CCCB – DO IT! We’ve seen them a couple of different years and they are always super powerful images! Barcelona more than exceeded our expectations. 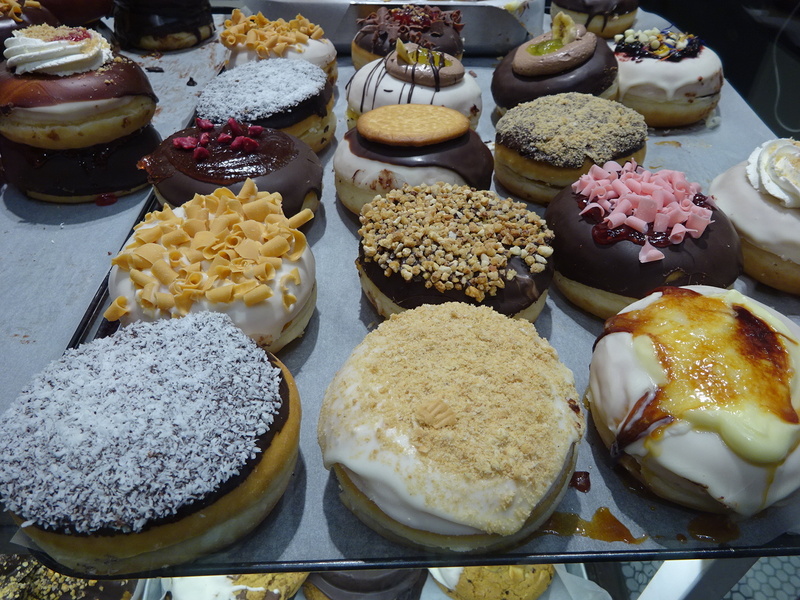 It totally delighted us with it’s old-Europe charm, it’s truly amazing art and architecture…and the doughy goodness. Yes, Barcelona, you’ve jumped to the top of our Favorite Big Cities list from our trip! Can’t wait to visit again someday. Thank you! 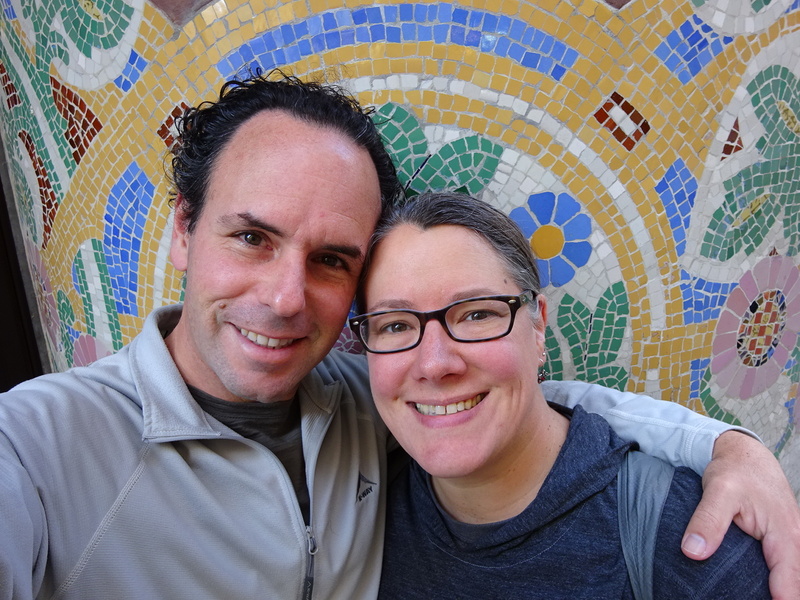 A pair of happily full Barcelona-lovers! Your head must spin with all you have seen. Hmm. You had pictures of food. How strange. 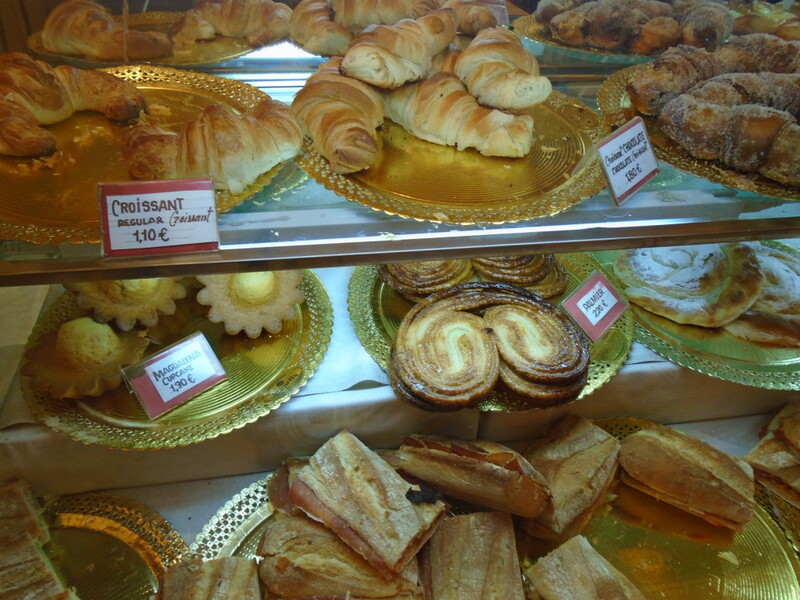 Looking at pastries and cookies, my stomach growled. Really. 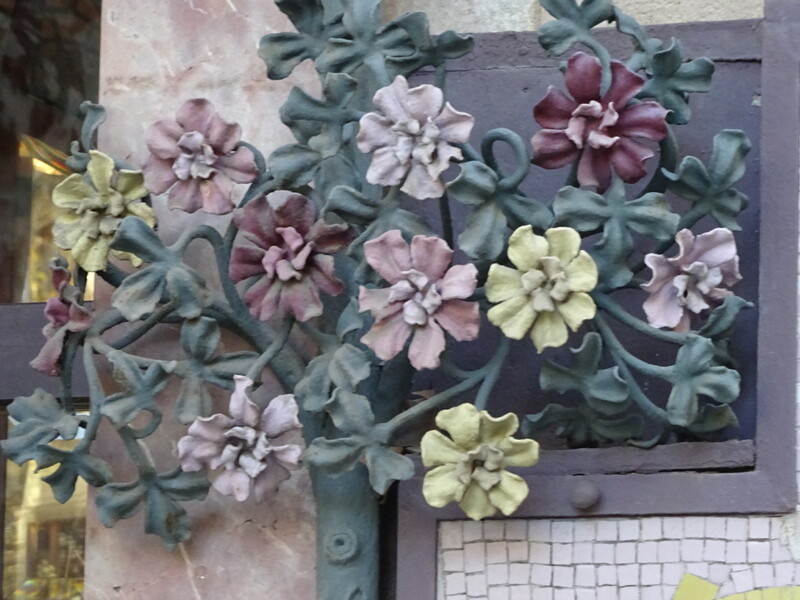 I may need to Barcelona just for the food, stained glass and ironwork. My neighbor used to be a blacksmith, so I’ve learned in watching him to really appreciate the workmanship. Did I mention I love cookies? I know, weird, eh? Who really likes food photos, anyway? Sorry we subjected you to them. Oh, did we mention we love cookies, too? Hello! I work the social media and marketing team for Food Lover Tour, and we just wanted to thank you for not only joining us on out Tapas Lover Tour but for featuring us on your blog as well! 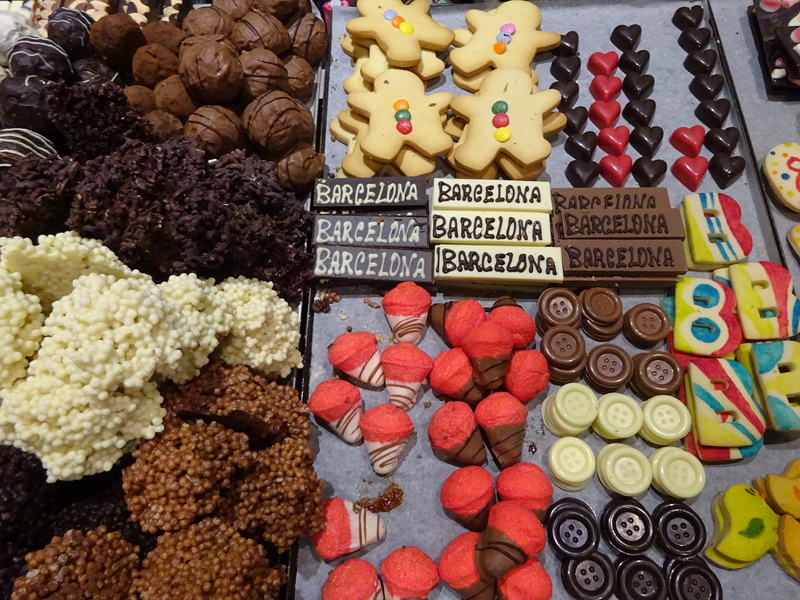 We are so pleased to hear that you enjoyed discovering Barcelona and its cuisine with us. We were wondering if it was possible for you to correct our name the way it appears in your article to Food Lover Tour, so as not to be confused with any other company? We would appreciate it very much! Once again, thank you for joining us and we hope to see you soon! Done! Thanks for providing a wonderful tour!